Kurt Vonnegut’s epistle to human beings of 2088. Artists can be, although many times unwittingly, moral compasses for a lot of people. Mark Twain did this with his novels; he pointed out many of the vices of his time: slavery, racism, ignorance, etc. Kurt Vonnegut (1922–2007) did the same in the 20th century. His novels diagnosed many of the problems that we’re facing right now: unending status of warfare, science abuse, loneliness, etc. The following letter, addressed to human beings of 2088, is an example of his ideas–plainspoken, endearing, and catastrophic ideas. It was part of an ad campaign by Volkswagen, to be printed in Time magazine during the late 80’s. This entry was tagged Chapter 52: The Biosphere. Bookmark the permalink. This post really makes me think if I want to have kids when I get married. To me it is very concerning the actual situation of humanity and I don’t expect it to change in this century. Kurt Vonnegut has a lot of great things to say about the human experience. I strongly suggest that you read any of his novels. You can begin by reading Slaughterhouse-Five. At the rate humanity is going i think it might be too preoccupied with wars, unfair treatment of humans, and other social issues to pay much attention and money to regulating our population and resources. Also, most proposed methods of population regulation might be deemed “inhuman” by so many people that they might fall through before they can even begin taking effect. Looking to other planets to sustain us would be the wrong way to go about it. We might not survive long and if we do the human race will just become a planet killing virus. It’s quite surprising how accurately he predicted life in the future and knew what things to say. We’re just destroying our environment and our planet more and more and if we don’t realize this soon, it’ll be too late. But as pessimistic as this sounds, I think that the reality is that most of us aren’t taking significant action on it because we aren’t too concerned about it, for it won’t happen any time soon, at least as long this current generation is alive. When it does happen, it’ll be a weight for the future genrations to carry, not us. I know that’s something pretty selfish and sad to say, but I just feel that it’s the truth. I agree, Andrea. We are comfortable: no massive floods like the ones occurring in Indonesia; no huge typhoons like Vongfong, which is the strongest typhoon of 2014; no severe droughts, like the ones in Sudan (Darfur), or California… This happens way too often. We react to the problems, instead of preparing ourselves. But not everything is a lost cause. Many countries around the world are working to solve the problem. Let’s hope it’s not too little, too late. Personally, I agree with the majority of the things Vonnegut says in his letter but I also think that it is easier said than done. The human being in general is in some way or another selfish, and that flaw, in my opinion, will be our downfall. By humans naturally being self-helping they will eventually end up self-destructive. I suggest you do a quick Google search of the concept ‘the human condition’. And it really opened my eyes into a new reality. But what I know is that if I want to be loving, caring, selfless, and cooperative I have to be the example of that. It was like Gandhi said ” be the change you want to see in the world”. We, the human race, will be our own demise if we keep living like we have another place to go. Until the air we breath is mor important than money, we will not change anything. I still have hope for the human race. We can still save this planet but we have to act now because in 5 to 10 years, it will be too late. I agree. What world would we live in the year 2088? If you liked what Kurt Vonnegut wrote in this letter, I suggest you read the work of Mark Twain, his literary ancestor. Both of them are funny and wise. It’s true that we’re destroying our planet quicker and quicker and that we should take action on helping our environment and saving the planet but I think that no matter how hard we try to save it, it will be destroyed and not only by us but by itself. Human beings cannot control nature by technology so at some point the Earth will have catastrophes ending our existence. What we can do is make the planet live for a longer time and take action on what you can change to help. As pessimistic as Vonnegut sounds, most of the things he is writing are happening or probably going to happen. I personably agree with what he wrote about the sort of leaders we need and what they need to do, with courage and intelligence to present to the world Nature’s reasonable surrender terms. I believe our political leaders lack the wisdom and courage to enact these terms. Our future from here to 100 years will look very grim indeed. Even if we were to stop polluting our surroundings starting as of right now it wouldn’t really matter because we have already derailed our Earths future too much to turn it back on track. Here is an article that talks about our future in a very entertaining way, it was a good read on the subject. It is true that many educated women prefer not having kids. These days women don’t get married at a young age like they used to now that they have more opportunities in our society. But it is also true that society pressures young adults to get married and have kids. When you finish college, people ask if you have a boyfriend/girlfriend and if you have one they’ll ask when’s the wedding. If you get married, they’ll ask when you’ll have kids. If you have a kid, they’ll ask when you’ll have another one. It’s like they think that in order to have fulfilled your life you need to go to college, have a lucrative job, get married, and have kids and this has being going on for generations and generations. If you are interested in Vonnegut’s work, I suggest you read his novels. A good starting point would be Slaughterhouse-Five. I’ve been wanting to read Vonnegut’s works for a while now, they seem both funny and insightful, and this was a very good piece of writing. It didn’t feel like he was describing a distant future; it felt like he was describing 2016, a year not very far away from 1988. 2016, the year in which politicians ignore climate change while screaming at each other and being endorsed by hate groups. The climate change Earth is currently experiencing may be synthetic, but it causes an irreversible domino effect on nature, and nature was already destructive long before we came along and made it worse. Sure, this may sound pessimistic and rant-y, but it’s the non-sugarcoated truth. On the bright side, many people are currently trying to slow down the waves of destruction that are bound to happen by creating new helpful technologies and increasing awareness of this issue ( such as Earth Day), and whatnot. It was only recently when humanity began using technology for good and started accepting people for who they are, but no matter how much progress we make at trying to create a utopia, nature will still be carrying around an earthquake and an asteroid in it’s backpack while laughing at an ignorant group of people it is watching on it’s cellphone. I personally agree with the majority that Vonnegut said. In 1988 people may have thought this piece of work was crazy or irrational, but right now it seems to describe us perfectly while only 28 years have passed and not 100. 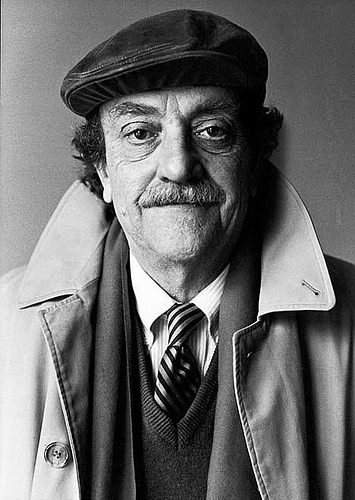 Vonnegut starts talking with quotes from Shakespeare, St. John the Divine and a prayer from alcoholics. He then gives a general summary of our world right now and how much we know about it including the damage we have caused overtime. He states that nature is no friend by describing all the natural disasters that have occurred and all those that may occur. Nothing is certain, but we do know there is a high probability of those disasters occurring again at any moment. We have a big problem, as stated in the video, about overpopulation. People have become so fertile, and because we have learned how to produce more food, we have made the Earth overpopulated. Alan Weisman talks about how educated women reproduce less because they make education their priority. Therefore, not starting a family so quickly. People have thought of themselves as unstoppable but that’s not true. Vonnegut then talks about how all we need is a strong leader. A person who will solve our problems, facing them with bravery and dedication to solve them, not someone who wants to go to war, on the contrary, someone who wants to help our population thrive. Someone who won’t encourage air contamination or pollution, but someone who will teach future generations that it is wrong and we should save our planet. That is exactly the kind of leader we need, but it isn’t as easy finding someone with those ideals in addition to the leadership skills needed to govern a country successfully. He also says not to rely everything on science, science doesn’t solve or explain everything. He concludes by saying that in the future everything will be technology- driven and people will not get out of their homes, which is what is happening nowadays. Everything is so easily reached with technology that people have become lazy. If this continues our world will be a place no one would want to live in. Kurt Vonnegut died in 2007 knowing that our planet will face catastrophic threats for the next few decades. Many scientists agree that there is no turning back, that the damage we’ve caused is irreversible. I think that as long as people turn to cultural sages such as Vonnegut, there’s still a chance to survive this anthropocentric mess (aka, Climate Change).